A civil liberties attorney has a problem with two Indiana public high schools. The schools announced that they will randomly drug test 10 students who wish to engage in extracurricular activities, for 10 drugs. The attorney claims this is a Constitutional violation under the Fourth Amendment. Do you ever wonder why nothing ever changes in Washington? It seems no matter who is President– Republican – Democrat – whomever – nothing changes. Yet every four years we spent untold millions of dollars and thousands of hours promoting one candidate or another. But at the end of the day, no matter who is elected, things either get just a bit worse or a lot worse. Same goes for Congress and the Senate. We expend so much time, effort and money electing these idiots and nothing gets better. Why is that? Well, as usual, Mark Levin pointed to it just the other day on his radio program. It’s the bureaucracy and the judges. These faceless, nameless bureaucrats are immune from elections. Whether it’s a conservative or liberal president, it’s of no consequence to these bureaucrats. It matters not to them who controls the House and Senate. They just continue on, pumping out more and more rules and regulations to choke us all and further their own influence. In the 1990s, conservative icon Phyllis Schlafly wrote a moving description of the plight of U.S. Army Specialist E-4 Michael G. New, a medic in the Third Infantry Division who was drummed out of the military because he refused to wear the uniform of the United Nations. “When American soldiers were killed over Iraq,” she wrote, “Vice President Al Gore told the widows and orphans of those men that ‘they died in the service of the United Nations.’ That wasn’t a slip of the tongue; his words reveal the Clinton administration’s plan to use our armed forces as U.N. mercenaries all over the world at the whim of U.N. bureaucrats. “Michael New’s trial is our battle, if we care about America,” she wrote. 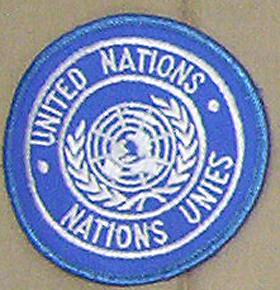 What if New was right all along, and the order to don the U.N. emblems was unlawful, as he argued throughout his dispute with his commanding officers at his court-martial and throughout the appeals process? It would mean that prosecutors in the Clinton administration withheld exculpatory evidence, deceived a judge in the case and misled defense counsel to stamp out what could have been a rebellion against illegal orders to serve under the banner of the international political group. It is being filed by Herbert W. Titus, of counsel with the law firm of William J. Olson, P.C. This is the scenario that had been released to the public to this point. 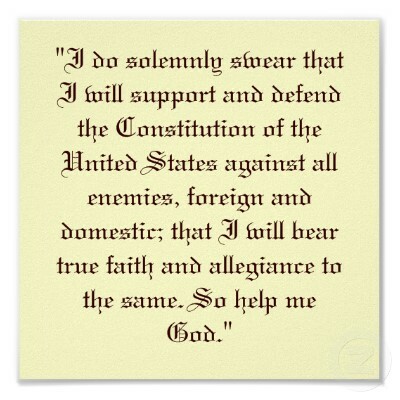 New was a soldier who objected to changing his allegiance from the U.S. Constitution, which he promised in an oath to defend, to the United Nations. Clinton was ramping up his involvement in various ethic conflicts around the globe. New was to be dispatched, under the command of the U.N., to Macedonia. It was through Presidential Decision Directive 25 that Clinton ordered American troops to submit to the command of multilateral “peace” operations around the world. 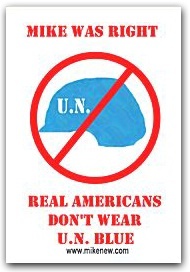 But New refused to wear the arm patch and hat designating him a soldier of the United Nations. He eventually was charged and given a Bad Conduct Discharge, a slam on his personal integrity that has followed him since. In one of the stops in his battle, the U.S. Court of Appeals for the District of Columbia warned that it would not overturn his conviction, which he argued was reached incorrectly because the deployment to which he was assigned violated the UNPA (United Nations Participation Act). He has argued that the UNPA requires that specific congressional approval be given for certain deployments under the United Nations and that permission had not been obtained by the military. That law, dating from the 1940s, does require such approval. It also forbids the placement of more than 1,000 soldiers under such command at any one time. But under Clinton’s orders, such deployments were to be made by him “on a case-by-case basis.” He said he would allow U.S. forces to be placed under a “competent U.N. commander” based on factors such as U.S. interests, the size of the proposed force and the risk. 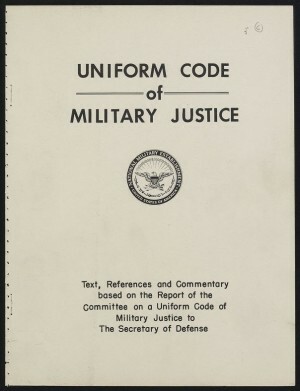 “Such action wil be undertaken consistent with the U.S. Constitution, U.S. federal l aw and the Uniform Code of Military Justice,” he wrote. But what fell out of the process was the effort to obtain permission from Congress. Defense attorneys had asked the government about such documentation during New’s court martial and were refused access, Titus explained. In fact, the prosecutors represented an abbreviated set of some 8-10 pages as the full order, and did not let the judge and defense counsel know the full extent of the order. “When Mr. New’s attorneys requested that the classified document, which would have revealed that Clinton’s operational policy was not in compliance with the law, [the prosecutor] represented to the court and to New’s lawyers that the document he had in his hand, of 8-10 pages, was the document,” according to the appeal. Actually, it contained closer to 30 pages. Titus told WND that an appropriate resolution to the apparent misbehavior by prosecutors probably would include vacating the conviction and removing it from New’s record. Primary among those was the Presidential Decision Directive 25. “We would like to see that document that forms the basis of what the government has asserted in that briefing is the legality of the order pertaining to Specialist New,” counsel argued. Government officials refused, announcing “PDD 25 to be irrelevant to this trial” even though commanding officers specifically cited “PDD 25″ as a basis for the Macedonia deployment. It was not until 2009, after the document was declassified, that New became aware of Clinton’s statements. And, according to the brief, it was at that time New also obtained access to Presidential Review Directive 13, which coordinated with PDD 25. 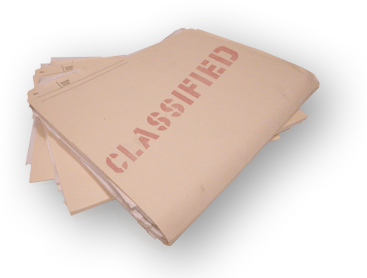 “As a direct result from having been denied access to material and exculpatory information in the classified versions of PDD 25 and PDD/PRD13, demonstrating noncompliance with UNPA, the military judge ruled that Mr. New failed to carry his ‘heavy burden of demonstrating [the order’s] unlawfulness,’” the filing states. “Both classified document PDD 25 and PRD 13 contained information that would have provided ample support for Mr. New’s claim that the order to wear the U.N. uniform violated the UNPA,” the pleading explains. “Specifically, the classified version of PDD 25 adopted a policy of American armed force participation, both combatant and noncombatant, in disregard of whether the deployment of those armed forces complied either with Section 6 or Section 7 of the UNPA,” the case alleges. How was Clinton ultimately going to get around such violations? Without relief, New will continue to suffer unjustly from the “ineradicable stigma” of a punitive discharge from the military, the argument contends. Further, it would allow to remain unchallenged and unrecognized the usurpation of federal law by Clinton, the brief explains. 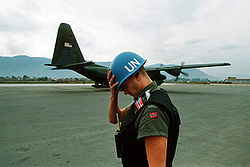 “We now know that PDD  sanctioned American armed force p articipation in U.N. multilateral peacekeeping operations without any regard to whether the Clinton administration’s new policy complied with UNPA requirements limiting U.S. participation in either U.N. peace enforcement or peace keeping operations,” a support brief said.